You are here: Home / Podcast Episodes / SL42: John Aronson, AATA International, Inc. 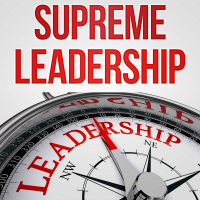 Welcome to the Supreme Leadership podcast where we interview CEOs of companies who have been successful for almost a quarter of a century. Today I’m excited because we’re taking to John Aronson, president of AATA International, Inc.
John takes seeking advice on mentoring very seriously. When going into a new area, he focuses on identifying and securing the best possible partners. In this episode we go deep into the lessons John has learned in his entrepreneurial life, so that your business too can thrive for 25 years and counting.